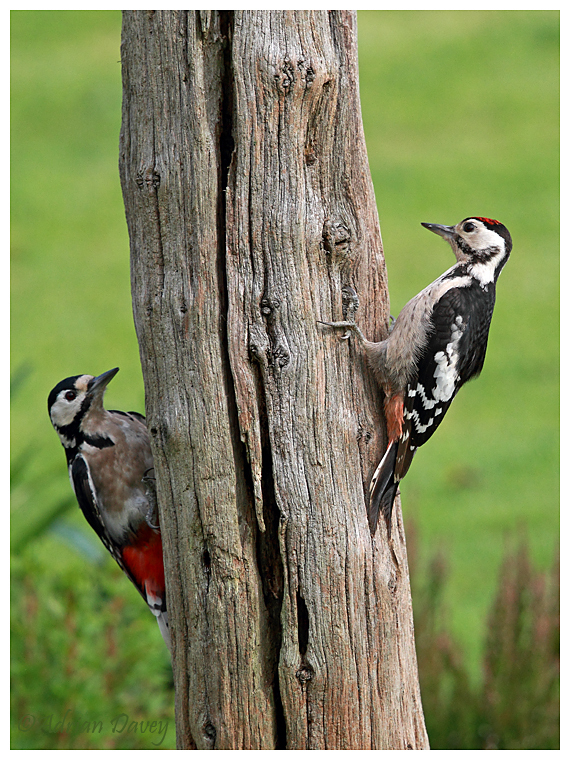 Adrian Davey Bird & Wildlife Photography: Great Spotted Woodpeckers. Female & Juvenile. Great Spotted Woodpeckers. Female & Juvenile.